Horror movie season is upon us (not like that’s a year 'round occasion or anything…), and LASplash Cosmetics is gifting the world with some seriously eerie, classic horror movie-inspired liquid lipsticks that are frightening—but in the absolute best way. 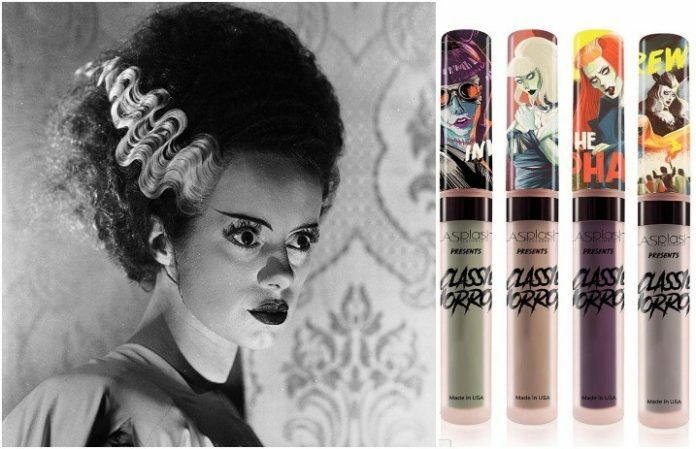 The beauty brand teased the line back in June, with the tube caps decked out with designs from Dr. Jekyll & Mr. Hyde, Dracula, Bride of Frankenstein, The Creature from the Black Lagoon, and the original The Mummy. The lipstick line, properly titled “Classic Horror,” was officially revealed yesterday and includes some seriously badass caps featuring female versions of classic horror’s main characters that are just as gorgeous as the lip shades themselves. We’re actually shrieking for joy. Check out the gorgeous shades below! LASplash has yet to announce when the lip shades will be available for us to get our hands on, but we’re waiting as patiently as we can to give these lippies a try. Halloween is the perfect excuse to wear that gray liquid lipstick shade you've always wanted to try, right? Are you hoping to get your hands on a horror-themed liquid lipstick? Let us know in the comments below! QUIZ: Which horror villain are you based on your music taste? Next articlePanic! At The Disco lyric quiz: How well do you know “I Write Sins Not Tragedies”?